Most people never give much thought to their dental insurance. That is—of course—until they need it! Humana Insurance is one of the largest providers of dental insurance in the United States and offers plans for individuals, groups and employers. Humana Insurance also received a J.D. Power and Associates award for “Highest Member Satisfaction among Commercial Health Plans for the states of Texas, North Carolina, South Carolina and Georgia. Humana Insurance is a BBB accredited organization with an "A+" rating. There are a total of 398 customer complaints and the company has received a 3.71 out of 5 star composite score based on 45 customer reviews. Humana dental plans can be purchased as an individual coverage policy or through your healthcare program through your employer. You can use an in-network dentist for extra savings; however, if you do choose to consult a specialist, you will not be required to obtain a referral from your primary care dentist. Features include: PPO and DHMO plans, $0 deductibles, no copays and the ability to choose your own dentist with most plans. The fees for seeing a dentist outside of the preferred provider network are more than those within the network. · Humana Preventative Plus Package for Veterans: This package allows you to choose any dentist, in or out-of-network. There is an annual deductible of $150 for a family or $50 per person. The deductible is not applicable to discounted services. Your annual benefit maximum if $1,000. There is no waiting period for preventive care services and a six-month waiting period for other basic dental procedures and oral surgery. The plan covers routine cleanings and x-rays 100 percent. · Dental Loyalty Plus: With Dental Loyalty Plus, you can also choose either an in or out-of-network dentist. There is a one-time deductible $150 per person or $450 per family. The deductible applies as long as you keep the same plan. Benefit maximums are: 1st year - $1,000; 2nd year - $1,250; and 3 years or more - $1,500. · Dental Value Plan: The Dental Value Plan is an HMO plan and preventive services are covered at 100% with a $0 deductible. Basic procedures covered include filling, extractions, and X-Rays. Major dental services covered include root canals, crowns and dentures. For both basic and major dental services affordable copays are offered with an in-network primary care dentist. There is a set schedule of fees for services and you can choose a provider from more than 225,000 dental offices nationwide. · Dental Preventative Plus: Choose an in or out-of-network dentist. The deductible is $50 per person and $150 per family which does not applied to discounted services. X-rays and cleanings are covered 100 percent and there is no co-pay for office visits. No waiting period applies for preventive care services and the waiting period is six months for oral surgery, filling and other basic dental procedures. · Dental Savings Plus: Receive a discount for using any in-network dentist. The Dental Savings Plus is a discount plan and not insurance. There is no waiting period for discounts available through this plan. You can get a quote for services needed. There is a one-time enrollment fee of $15. 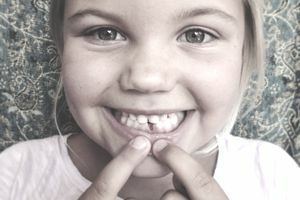 · Complete Dental: This comprehensive plan provides affordable deductibles with no waiting periods for preventive care. Preventive services (exams, cleanings, X-rays) are covered 100% after deductible. Basic services (fillings, extractions, emergency care) are covered 80% after deductible and major services (root canals, crowns, dentures, onlays, inlays and oral surgery are covered 50% after deductible. The Humana website offers adjustable dental insurance coverage options and its website has helpful online features. The company also has a mobile application. Dental insurance through Humana can provide substantial discounts for dental procedures and preventative care, sometimes up to 45 percent. The one-time deductible offered through the Loyalty Plus Program—as opposed to an annual deductible offered by many dental carriers—can save you even more on dental expenses. Preventative Plus for Veterans gives extra discounts on prescriptions. Through the online services, you can file and track claims online, make payments or find physicians and specialists in the preferred provider network. As a bonus, customers can save up to $35 when buying dental and vision plans together. Not all dental health plans offered through Humana cover orthodontic procedures. There is an enrollment fee; however, if you purchase the dental and vision coverage, the enrollment fee for one will be waived for you. Sealants are not covered for patients over the age of 14. Not all plans and coverage options are available in every state. To contact Humana about its dental insurance or to learn more about its other insurance products, you can visit the Humana Health Insurance Website or use the contact us page to find the correct point of contact telephone number based on your assistance needs.